Part of the joy of living in London is having so many European paradises at your finger tips. 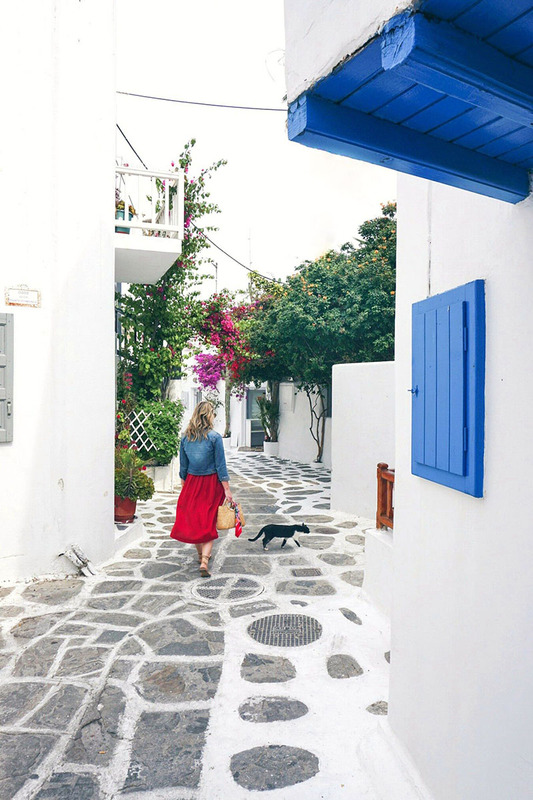 So when some flight deals to Mykonos appeared in my inbox at the start of this year I was powerless to stop my fingers clicking "book now". 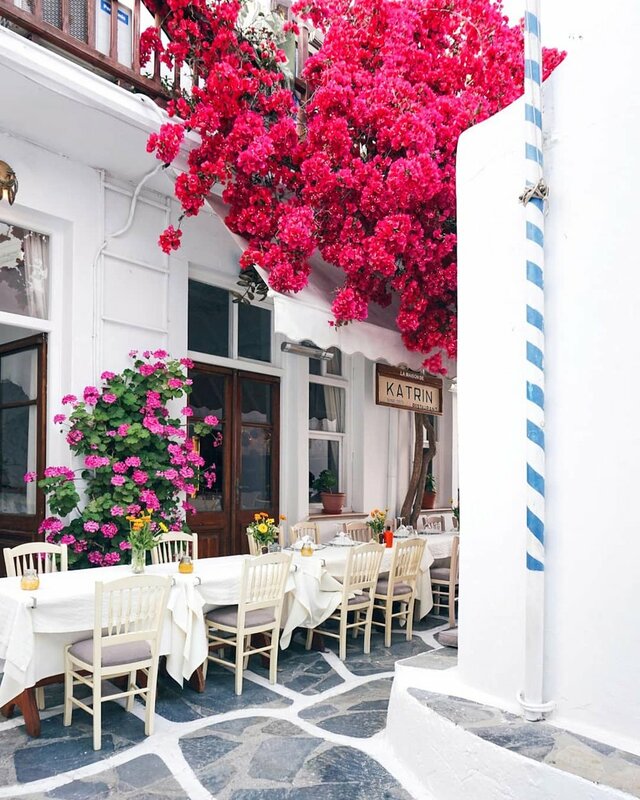 Having previously visited Athens and Santorini, the lure of warm days, beautiful sunsets and delicious food was even stronger. We picked a week in mid-spring to visit, before the Summer crowds descend on the Island for the official "season". There are some amazing hotels to choose from, it just depends what kind of an experience you want. 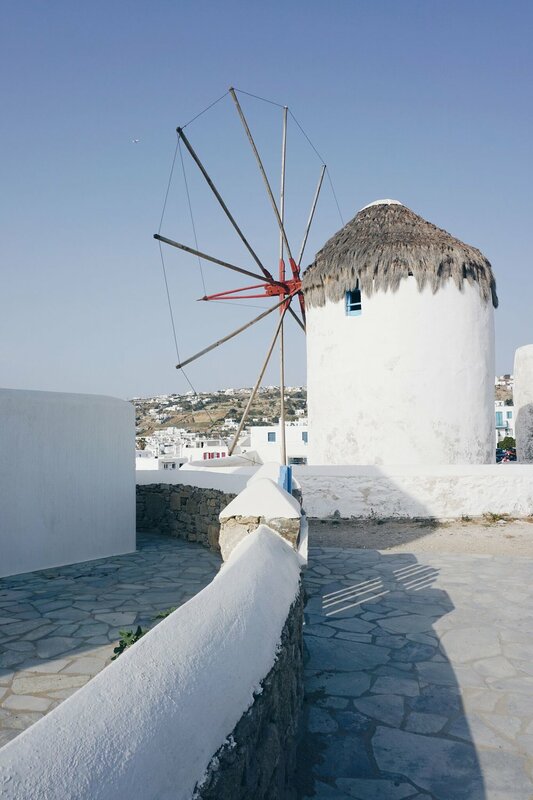 Although Mykonos is one of the most expensive Greek Islands to visit, there are a variety of accommodations available on AirBNB. The old town is a great option if you're on a budget or if you want to be smack bang in the middle of the action. Otherwise there are some quieter areas dotted around the island. 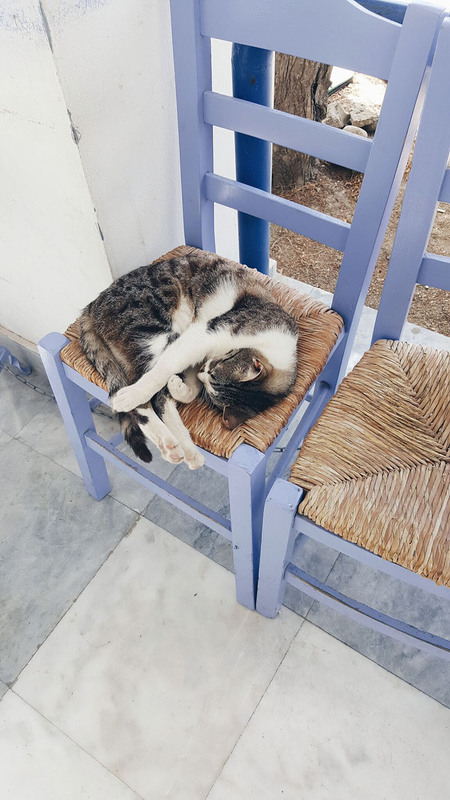 We were lucky enough to stay at the Myconian Ambassador Hotel in Platis Gialos and I would highly recommend a visit. The area was great and the staff were honestly the friendliest and most helpful we have ever experienced (and we've stayed in a lot of hotels!) We were in a white bliss room and had a magic view over the water. It was so peaceful and we loved being away from the noise and hustle of the main town. Although there is plenty of restaurants and bars down on Platis Gialos Beach (a 5 minute walk way) it's also easy enough to head into Chora (the main town) if you fancy yourself some nightlife. The local bus is only a few minutes walk from the hotel or a local taxi ride takes about 10mins. Hire a car - To explore the lesser reached beaches and local taverna's, you can hire a car or ATV and getting off the beaten path. We booked a little Fiat through our hotel but there are hire places all over the island. Just be warned the roads are narrow and not overly well maintained once you leave the main routes. I could have spent an extra day or two just wandering the alleys of the old town. Spring was a beautiful time to visit with all the blooming bougainvillea, plenty of fodder for instgram flower spam! As part of our boat tour we were ferried over to the Island of Delos for a few hours. Delos is an important archaeological site and the mythological birthplace of Zeus' twins Artemis and Apollo. You could get away with doing a quick run around the ruins and museum in about 90minutes, but there's plenty to see (and tours available) if you're a history buff and wanted to spend a whole afternoon here. On our last full day on Mykonos we decided to hire a car and explore some of the beaches and views you can't reach on the public buses. I'd definitely recommend a car over a 4wheeler as some of the roads are quite hilly and we saw some ATVs struggling to get up them. You also get shade and more room to store your towels and things, plus its also a lot easier to navigate on google maps when you're not clinging to your driver for dear life! Our favourite beach was Agios Sostis. If you visit, you definitely have to have lunch at KiKi's Tavern right above the beach. Theres always a line but the fresh food and friendly service makes it worth it - we arrived 20minutes before opening and were part of the first seating. 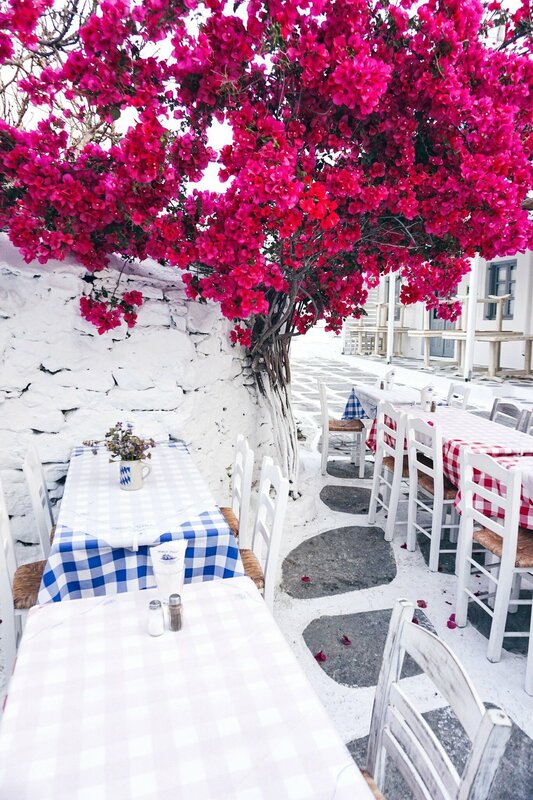 Eating in Mykonos can be expensive but the street vendor food and Gyros are delicious and only coast a few euro. Its also worth venturing away from the main town for better local experience. If you don't have time to spend a whole day on a boat trip, but still want to head out on to the water, there is a sea bus operating between the ports and the old town. Have you been to Greece? We are bound to get the craving to go back again so I'd love to hear of any other islands we should add to "the list" for next time!